What are the benefits of implementing Bulk SMS Services into your Marketing Campaign? Requiring a very little investment helps bulk SMS to become the best marketing tool even for raw entrepreneurs who are not well confident to venture money into the marketing domain. It is easy for you to integrate SMS into your marketing campaign through either service providers or software and reap the multiple benefits. You need not be a tech savvy when it comes to using bulk SMS tool. You only need to input the mobile number of the customers along with the message, which you need to put across your customers, and then just hit the “send” button. As you are off the hook from carrying out the process end to end, the service providers are responsible for doing so. This way, you can save a substantial amount of time, which you can utilize in operating and marketing your business. You must follow the system since it delivers enhanced response rate than the rest of the marketing strategies for example TV and banner ads. Because SMS technology is very fast, the messages are delivered to the customers almost in a wink. With said that it also drives enormous traffic and improves your business output. In your attempts to get in touch with your potential customers via short messaging service turns out well in building solid customer support with them who are everything to your business. As bulk SMS marketing is known to generate mammoth sales shortly, you need not wait for a long time to evaluate the development of your promotion crusade. In a short term, you will be able to see that your marketing campaign is a sheer success. 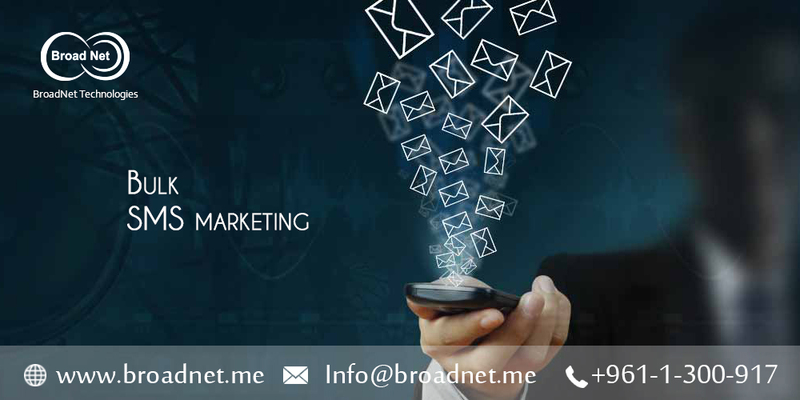 The initiative of sending a host of messages at one time all over the world and instantly has made SMS marketing a rage among the businesspersons who implement and make the most of it. With an escalating number of mobile users all over the world faster with each passing, this type of marketing is sure to be in the trend in the near future and maybe far future.